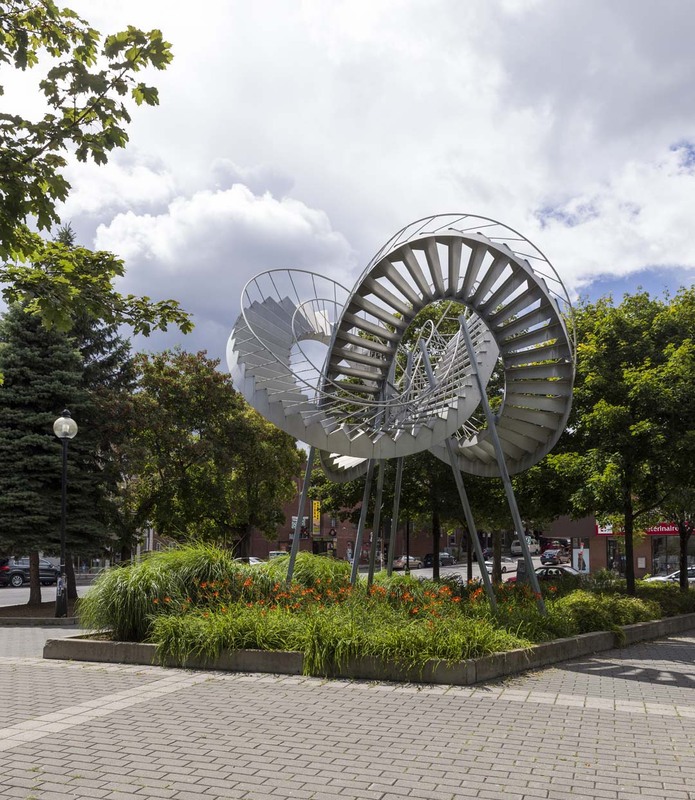 The artwork Révolutions completes the transformation of Parc Maisonneuve-Cartier undertaken by the Service des parcs, jardins et espaces verts in 2000, following the construction by the Société de transport de Montréal of a new pavilion for the Papineau Métro station. 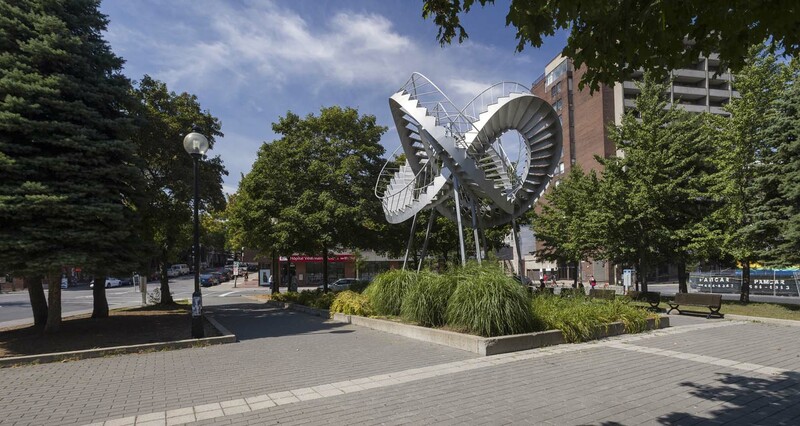 Born in Montréal, Michel de Broin holds a bachelor's degree in visual arts from Concordia University (1995) and a master's degree in visual and media arts from the Université du Québec à Montréal (1997). 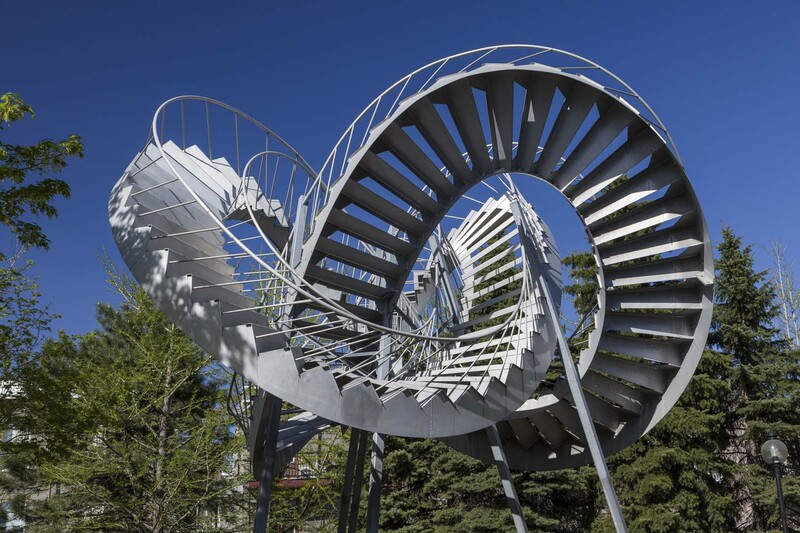 His works have been exhibited nationally and internationally, and he has produced a number of temporary and permanent works of public art, including Dendrites (2016) at Parc Kirchberg (Luxembourg). He uses metaphor to offer reflections on the public, social, and political spheres.